If you didn’t believe that CES 2014 was the year of the car entertainment system, let me convince you. SwiftKey, one of the most popular third-party keyboard replacements for Androoid, will soon be coming to a car’s touchscreen near you. SwiftKey and Clarion have partnered together to bring their typing technology to cars this year. 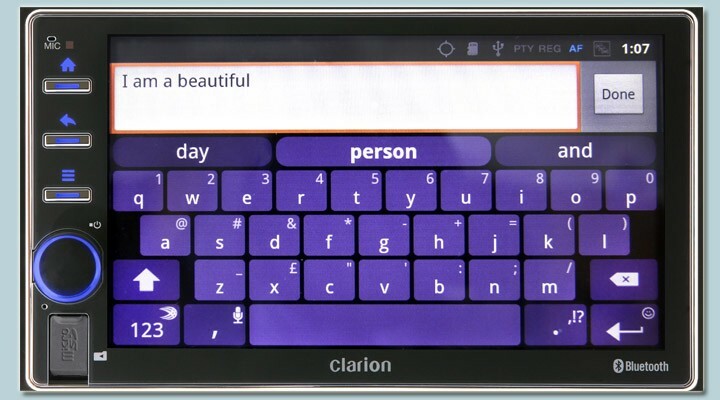 At CES this week, Clarion announced that their AX1 Android car stereo is coming to the United States and picked SwiftKey to help make the system more accessible. This new Clarion system is being built directly off of Android. It comes loaded with Maps, YouTube and an internet browser, so having a good on-screen keyboard will be a necessity. Clarion promised to update us on when the AX1 and its SwiftKey keyboard would be available in the US. We will let you know as soon as we hear more.